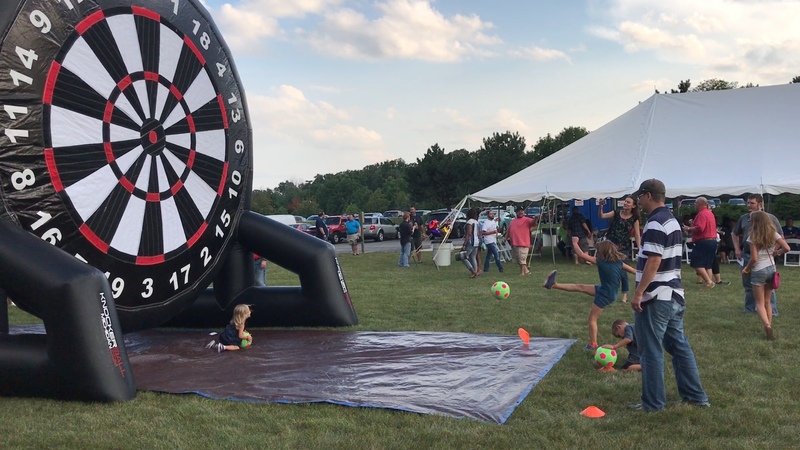 At 20' tall, our Mega Soccer Darts is the largest in the state of Michigan! Mega soccer darts is double sided, so two groups can play your favorite dart games at once like 301, cricket, or whatever game you would like! Comes with 12 velcro soccer balls. Requires access to power or you can add on a generator for $50. Can be played on concrete or grass. 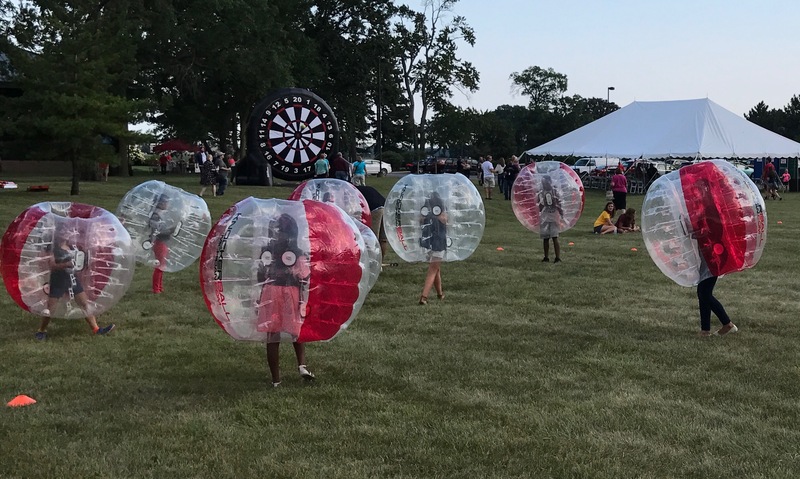 Our 12' tall Soccer Darts is double sided, so two groups can play your favorite dart games at once like 301, cricket, or whatever game you would like! Comes with 12 velcro soccer balls. Requires access to power or you can add on a generator for $50. Can be played on concrete or grass. SAVE $100 BY RENTING THIS AND ANY KNOCKERBALL PACKAGE!